A tired dog is a happy dog! And also a healthy one as a lack of regular activity may result in all manner of health and behavioural problems. While there are many options for exercising your dog regular dog walks are entertaining and simulating for your pooch and provide a multitude of benefits for physical and mental health. And dogs tell us they love it too – it’s hard to ignore their excited crying, spinning, tail wagging and jumping when they know its walk time. 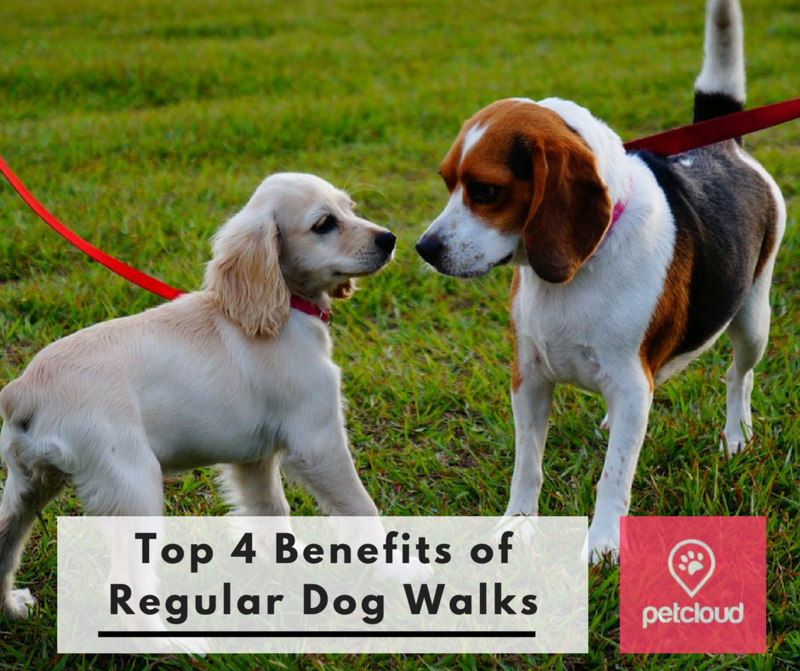 As if we need any other reason than our fur babies happiness, nevertheless let’s explore the top four benefits of regular dog walks to see if you’re keeping your dog happy. Regardless of the breed, size or age of your dog they require exercise at least once a day, for working or high energy breeds, such as Border Collie, German Shepherd, Huskies or Labradors, up to three times a day. Unfortunately Australian dogs are critically under-exercised and according to the RSPCA, a national survey has found more than 40 per cent of dogs are overweight or obese. Justin Jordan, dog training expert from Jordan Training, says walking your dog or off-leash runs as part of their daily routine will ensure you and your dog get the regular exercise needed. “The ideal duration of your daily walk will depend upon your dog's age and health, their size, as well as environmental factors such as extreme heat or cold, but most dogs would need somewhere in the range of 15 to 45 minutes,” he says. Having a trusted and reliable regular dog walker is a blessing for those times when there just aren’t enough hours in the day. Whether you need their help daily or only once or twice a week your pet will be happier and healthier, and you won’t feel guilty for not being able to take them. AVOID OVER HEATING: With summer fast approaching experts recommend it is best to avoid exercising your dog during high temperatures or in the middle of the day to keep your pet from over heating or getting heat stroke. PUPPIES: If you have a new puppy make sure to check with your vet when your puppy can safely go to the park in relation to their vaccination status. When it is safe start with short walks to avoid over exercising and make sure to give plenty of joyful praise and treats for correct behaviour. OVERWEIGHT OR OLD DOGS: Though over exercise is not a concern in healthy adult dogs it is best to not start a rigorous exercise program if your dog is very old, over weight or very inactive. It is a better to start slow and gentle, then increase incrementally to longer walks, but if in doubt chat to your vet or the RSPCA. WALK & FOOD DON’T MIX: The RSPCA recommends dogs should not be exercised immediately before or after eating. “It can cause problems such as bloat (which can be fatal), particularly in large ‘deep chested’ dogs such as Great Danes, Saint Bernards, Irish setters, German Shepherds, Rottweiler, Doberman pinschers, Weimeraner and Standard Poodles, that have a very pronounced chest and rib cage,” RSPCA said. Mental stimulation and enrichment are the key to happy, well-behaved dogs. Regular dog walking and exposure new doggie destination provides your dog with a landscape of changing and new interactions with various sights, smells and sounds. Jordan agrees it is not only a bonding exercise with your dog but important or their mental stimulation. “Dogs gain a great deal of enrichment by being able to see and smell the world outside the confines of their house,” he says. TO SNIFF OR NOT TO SNIFF: Permitting some time sniffing plants, posts and other things as this is a very important activity that puppies and dogs really enjoy. RSPCA advises a lack of exposure to this during their crucial socialisation period can result in the development of behavioural problems and anxieties. The stimulation of visiting dog parks, doggy play dates, dog beaches or new walking trails is extremely beneficial to your dog. Why not plan a trip this weekend to a new destination with your pooch? Your pooch is lucky enough to have a large backyard which allows them space to move and run, but it is a common mistake to think this is a substitute for regular walks. The RSPCA advises regular walks are imperative for benefits beyond the physical. 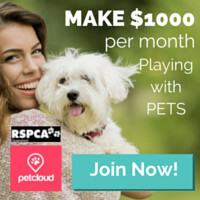 “Socialising with friendly dogs and humans is also an important factor of keeping your dog healthy,” RSPCA said. If your dog is well socialised and leash trained you may wish to consider group dogs walks to provide further opportunity for socialisation and interaction with other dogs and people. Booking a trained dog walker for regular walks once or twice a week who conducts group walks is an excellent way to provide this stimulation if you are time poor. PUPPIES: The RSPCA also recommends for puppies once they have the all clear from the vet. “Exercising…provides a good opportunity for your puppy to socialise with other puppies, dogs and friendly people too, which is vital for their behavioural development,” RSPCA said. Keeping your dog exercised mentally and physically will reduce the opportunity your dog has to practice problem behaviours such as nuisance barking, digging, chewing and escaping. Dogs need to burn off all of their energy otherwise it can be channelled into nuisance behaviours. Justin Jordan from Jordan Dog Training, says it is all too common to see dogs with behaviours issues stemming from boredom and not having their daily exercise requirements met. “When dogs have too much built-up energy, they can display a number of unhealthy habits such as inappropriate chewing, excessive barking, fence running or digging,” Jordan said. WARNING SIGNS: Behaviours such as being extremely playful, dogs initiating interaction with their owners, watching their owner all the time and being easily over excited may also be indicators your dog is frustrated by the lack of exercise and is pestering you to make life more fun for them. Frustration and restlessness caused by insufficient activity and stimulation are warning signs and may result in your dog making their own fun and indulging in the problem behaviours mentioned. Want more tips? Learn How To Walk Your Dog Responsibly here.